CPR Training Professionals is an industry leader in onsite group CPR and First Aid certification. 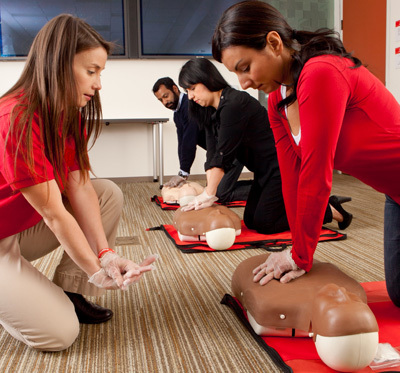 Since 1998 we have been providing CPR and First Aid training to organizations and businesses throughout Orange County. Whether your workplace needs to meet OSHA guidelines for First Aid; your a Healthcare provider who needs Basic Life Support; or your a group of parents who want to get CPR certified – we have the training and certification programs to meet your needs. What Orange County cities do we serve? We provide onsite training throughout Orange County including Aliso Viejo, Anaheim, Brea, Buena Park, Costa Mesa, Cypress, Dana Point, Fountain Valley, Fullerton, Garden Grove, Huntington Beach, Irvine, Laguna Beach, Laguna Hills, Laguna Niguel, Laguna Woods, La Habra, Lake Forest, La Palma, Los Alamitos, Mission Viejo, Newport Beach, Orange, Placentia, Rancho Santa Margarita, San Clemente, San Juan Capistrano, Santa Ana, Seal Beach, Stanton, Tustin, Villa Park, Westminster and Yorba Linda. Do we offer on-site training to groups smaller than 8 people? Yes, we train groups of any size but the class minimum would apply. What kind of training do we use? The class fees listed above are for American Safety Association certification which is valid for 2 years. American Heart Association and American Red Cross certification is available for $20 additional per person.